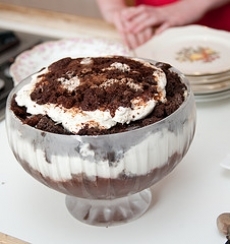 Have you made Brownie Trifle? 1. 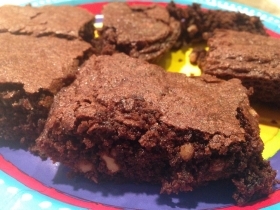 Bake brownie in 13x9 pan. 2. Let cool. Then cut into 2" cubes. 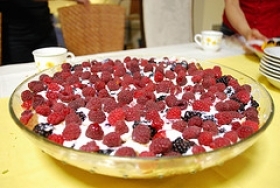 Prepare mousse. 3. do not chill. 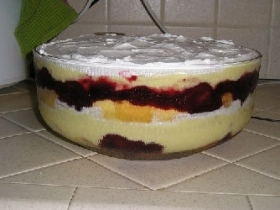 Place half brownies in trifle bowl. 4. Top with half of the mousse, half of the caramel, and half of the whipped topping. 5. Repeat layers ending with whipped topping. 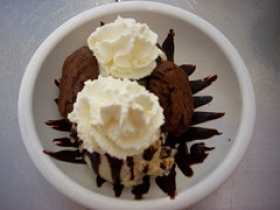 Garnish with choc.